When I was brainstorming concepts for my Italian Comfort Foods cooking class, I really dug deep. 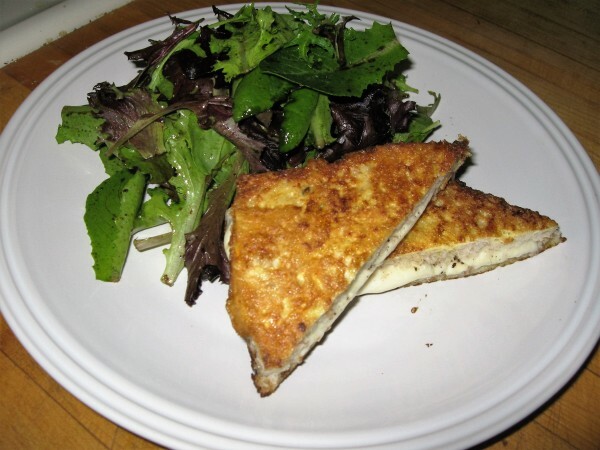 Mozzarella in Carrozza was something that I remember my grandmother making me when I was young. She passed away when I was only 6, and it’s astonishing to have such a vivid memory from that far back. My mom made me this a lot too. 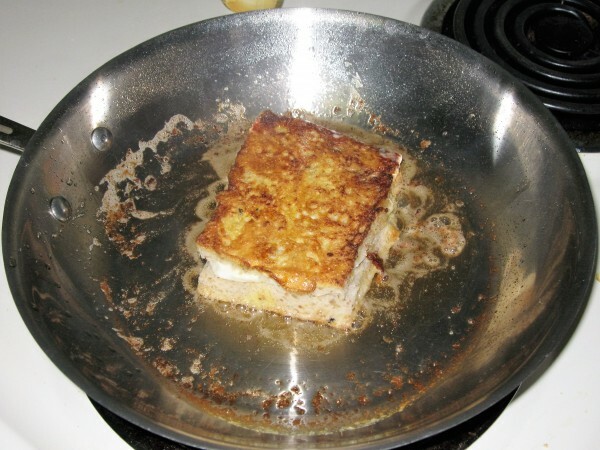 There’s nothing wrong with a good grilled cheese, but this builds upon that by combining the eggy batter. 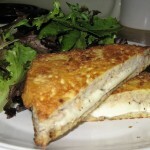 I always describe it as the “marriage of grilled cheese and French toast”, because that’s what it is! One night, I was feeling a little nostalgic, and I wanted a grilled cheese sandwich. When I was a kid, it was more likely that there was mozzarella in the fridge rather than yellow American cheese, so my mom used to make me a sandwich called “mozzarella in carozza.” Literally translated, “mozzarella in carozza” means mozzarella in a carriage, and that’s pretty much meaningless when you’re trying to figure out what it is. 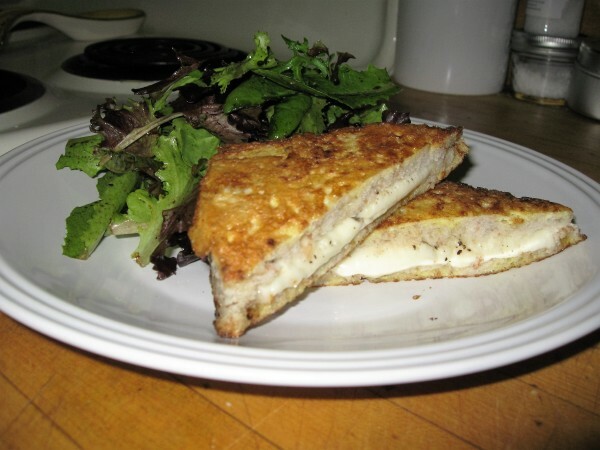 In essence, it’s the lovely marriage of grilled cheese sandwiches and French toast. And it’s a simple thing to make. If desired, remove crust from bread. Slice mozzarella as thinly as possible. 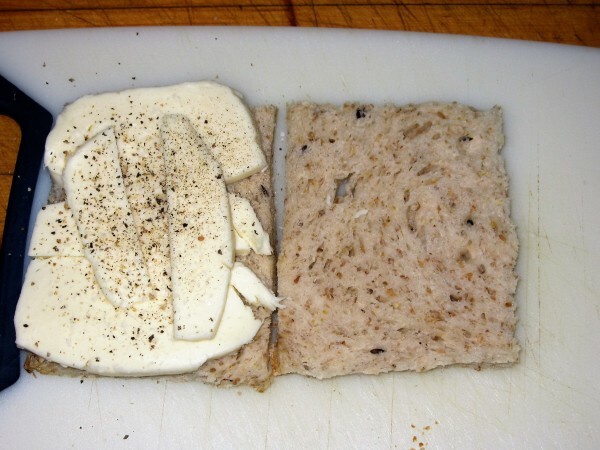 Place the mozzarella on one slice of bread. Season mozzarella with salt and pepper. Close the sandwich together. 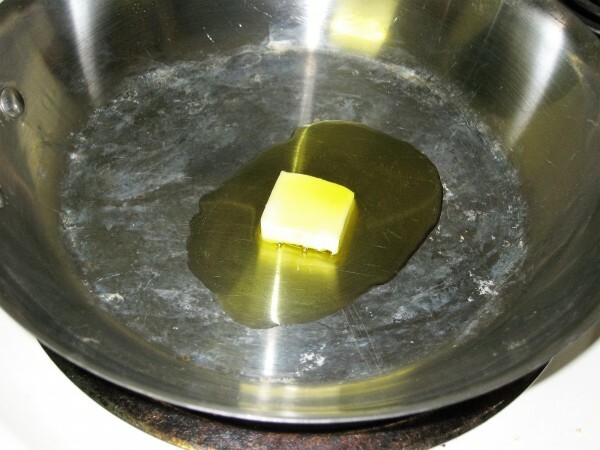 Heat a pan with olive oil and butter over medium heat. 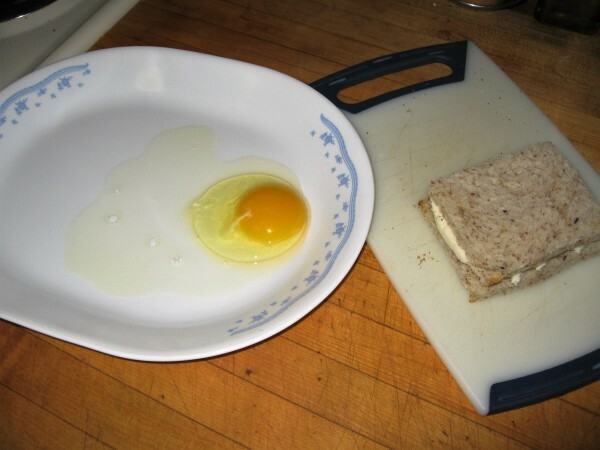 Crack an egg into a flat dish (one egg is enough for one or two sandwiches). Whisk up the egg with a fork to homogenize the yolk with the white. Graze the sandwich across the egg on both sides. 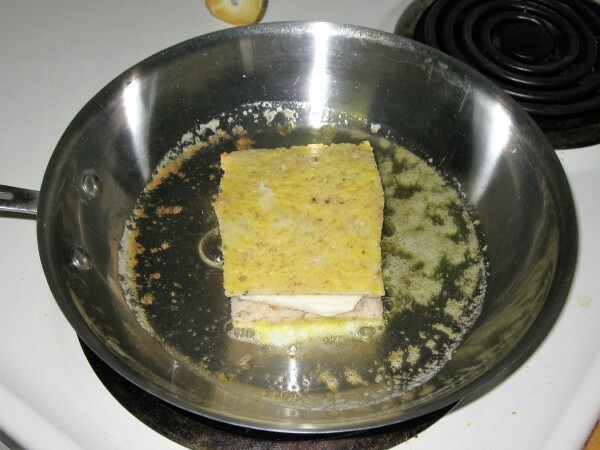 Place sandwich in the hot pan. After a couple of minutes, flip the sandwich and cook it on the second side for just about as long as you cooked the first side. 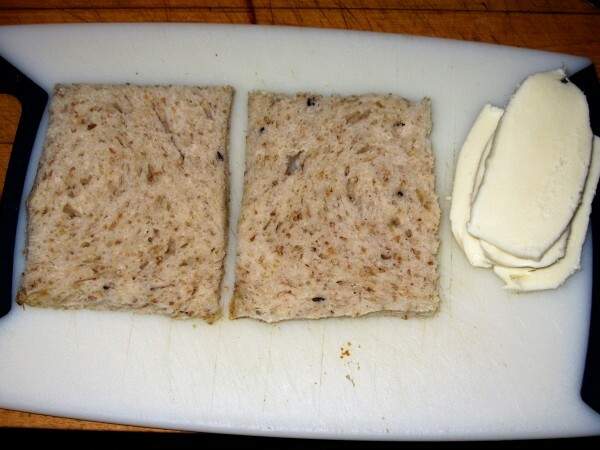 Remove the sandwich from the pan and let it cool on a wire rack. (That is, if you can hold out.) By allowing the sandwich to rest for one or two minutes, the temperature at the extremities equilibrates to the temperature at the center. The cheese continues to melt and reaches a point where it’s wonderfully stretchy. Serve with lightly dressed greens (or don't). Because you’ve battered a grilled mozzarella cheese sandwich and essentially fried it in butter and oil, it’s clearly a rich and fatty treat. I liked the greens along side because the bitterness in the greens and the sweetness of the balsamic vinegar helped cut through the richness; they also lighten it up a bit. The egg creates a fluffy coating around the sandwich that also gets into the bread. Mozzarella is a great gooey cheese; I’m sure any such cheese would work, but then it wouldn’t be mozzarella in carozza, now, would it? It’s the simple, comforting things like this that I love about Italian home cooking!